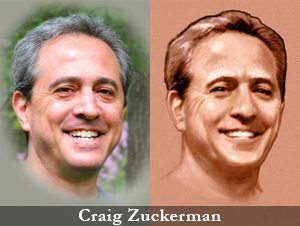 Craig Zuckerman is the principle illustrator and manager of a widely used illustration and animation studio focusing exclusively on healthcare/medical, handling all phases of projects including meetings with clients, developing initial strategies for the project, including storyboards, and follow through on completion and delivery of the final product. Although traditionally trained, Craig has been working digitally for over twenty years. His software of choice is Adobe Illustrator and Photoshop for print, and Cinema 4D and After Effects for animation. My advertising clients have included MedicusNY, Grey Healthcare, Ogilvy/Commonhealth, Havas and Draft/FCB, among many others.